The Chola Boys: Zambia’s Vice-Presidents From Reuben Kamanga to Guy Lindsay Scott | Elias Munshya, LL.M, MBA, M.DIV. Zambia’s presidency and presidents have dominated much of post-colonial analysis of politics and history. This is very well understood, considering the power that the presidency wields and the central role that it plays in the political and economic life of the nation. As such, political leadership in Zambia has been discussed from the ambit of its presidents and the times they lived and ruled. As such we categorise Zambian political history in terms of the Kaunda Era, the Chiluba Era, the Mwanawasa Era, the Banda Era and very soon, it will be the Sata Era. One of the areas of political analysis I think that we have neglected is to look at the republican vice-presidents, and appreciate the lessons they teach us about politics and leadership. This article therefore seeks to look at the vice-presidency, and indeed specifically the vice presidents that Zambia has had since 1964. The vice-presidents and the times they served provide for us perhaps the greatest insight into politics and the nature and character of the presidents they served. From looking at the people who served in that office, we can come up with general rules or principles that we can extrapolate to either predict future political trends or indeed get some lessons that can help move our nation forward. The first element of analysis shall be the gender composition of the vice-presidents. It is indeed quite telling and revealing that none of the vice-presidents since independence is a woman. In terms of our country, it is not enough that we have had an all-male contingent of presidents, but to think that even their deputies were all-male does tell us a despicable story of our gender imbalance. We’ve only had names such as Reuben, Simon, Mainza, Alexander, Enoch, Augustine, Godfrey, Christon, George and Guy for Government House. In spite of the fact that women make up 51% of Zambia’s population and are still the biggest demographic of voters, it is quite unfair that Zambia has had no woman president, worse still that Zambia has had no woman vice-president. This gender imbalance in my opinion could explain why we are faced with all this economic and political turmoil—we have given women very little opportunity to rise to the top, or even to the second topmost. Women are not just good for dancing at the airport, but rather they are equal partners in development. As such, we could safely conclude that Kaunda, Chiluba, Mwanawasa, Banda and Sata have all shown us lamentably that they are all male chauvinists for failing to use their prerogative to give the vice-presidency to a woman! I think we must do better and if we are to be a truly balanced nation it may be time to give the womenfolk a chance. As such, the time may be ripe for names such as Inonge, Edith, Maureen, or even Judith to rule. If they cannot yet have a shot at State House, we can at least give them the opportunity to have the shot at Government House. The second element has got to do with modalities by which these vice-presidents are chosen. As a rule, it looks like most of the vice-presidents were never chosen from very politically popular candidates. They were mostly chosen from among the most politically unpopular cadres. It remains for another time to explore why this is so. Suffice here to mention, however, that the most unsuccessful vice-presidents have been those that garnered a lot of political support while in office or those that went to the position of vice-president with a huge political base. When Kaunda appointed Reuben Kamanga as vice-president in 1964, it was widely held that KK so chose Reuben for his lack of popularity and political base than for any other reason. This is the reason why, even today, Reuben is not considered a political hero of Zambia’s independence. Zambians can easily recall Kapwepwe than their first-ever Vice-president Reuben Kamanga. Kaunda could not have chosen a powerful candidate for vice-president. 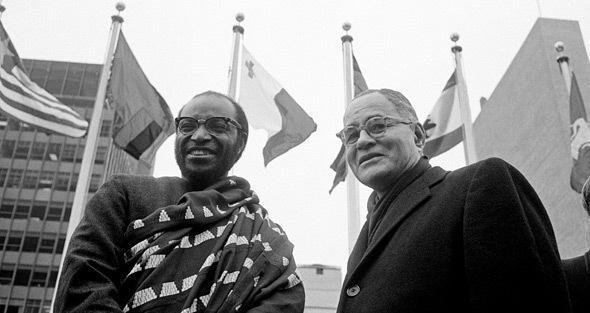 In 1967, when the Bemba-Tonga alliance in UNIP beat the Nyanja-Lozi alliance at the first post-independence UNIP conference, Kaunda was left with no choice but to drop Kamanga as republican vice-president and appoint Kapwepwe instead. But Kapwepwe did not last very long in that position. He was too powerful and too politically popular to be a vice-president. He had to be forced to resign. In 1991, when Mwanawasa, a man of great influence within the MMD became the republican vice-president, he too like Kapwepwe, could not successfully discharge the duties of his office. 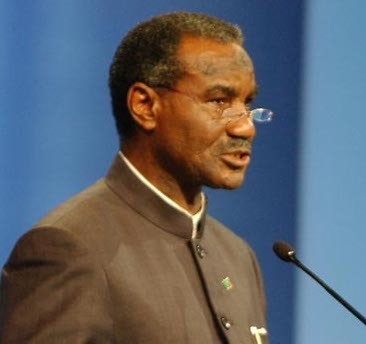 He had to resign simply because the MMD government and President Chiluba could not handle a powerful and influential vice-president. Unfortunately, the same reasons why Mwanawasa resigned as Vice-President resurfaced when he was now in power. He appointed Nevers Mumba, a man who had no strong political base. Of course Mumba was going to be a good vice-president as long as he played it small and unpopular. But that was not to be for an American trained tele-evangelist. He became a little bit more larger than life. While in office, he developed a huge constituency, and rose in popularity. Perhaps as a mix of both chance and opportunity Nevers Mumba was beginning to eclipse his boss—a bad omen for a vice-president. Zambian presidents generally have a dislike for a very powerful vice-president. It was not very long after Nevers had addressed a press conference, while Mwanawasa was away, that he was fired from his position. A vice-president must be dismal! It still remains to be studied why Mwanawasa, left all the popular cadres within his party and chose to cross party lines and appoint, Nevers Mumba, and repeat the same feat later by appointing Rupiah Banda for Veep. But Mwanawasa’s eccentrics did not end there; after he had fired Mumba he then went for Augustine Festus Lupando Mwape Katoloshi, to be his vice-president. Not only was Mwape lacking a political base, but he was also not even a member of cabinet. He had in fact been fired by Mwanawasa just a few months earlier, only to be reinstated as a junior minister responsible for Northern Province. Mwape’s political unpopularity was proved later by his failure to retain his parliamentary seat in the 2006 elections. It is unpopular candidates who seemed to make very good vice-presidents in Mwanawasa’s regime. But this does not just apply to Mwanawasa it is also true for Kaunda, Chiluba, and even Banda. The Banda affair is even more telling, when Mwape lost his parliamentary seat in 2006, Mwanawasa went to a farm in Chipata district and fished out a retired politician-turned-farmer, perhaps two decades his senior, to come and serve as vice-president. According to Mwanawasa’s calculation, good vice-presidents should be taken from the bush and not from the bloom of urban political life. For his part, when he started to rule, Banda did not look to popular candidates within the MMD for a vice-president. He instead looked to George Kunda, a political novice to become a vice-president. He had in choosing Kunda by-passed the more politically astute and popular cadres such as Mumba, Magande, Mpombo, and even Kalumba. President Michael Sata’s choice of vice-president has been an interesting phenomenon. With lots of hope about Zambia having a whiteman for a vice-president, President Sata has consistently sidelined Guy Scott to the extent that to date Guy Scott has never acted as president in the absence of his boss. The third element concerns, constitutional roles that vice-presidents have fulfilled in the course of Zambian history. As least three vice-presidents were lawyers by profession. These are Chona, Mwanawasa and Kunda. All of these three served at a time that the republican constitution was being reviewed. Of the three however, Mainza Chona has perhaps played the most visible role of all vice-presidents in pushing through dramatic changes to the constitution of the Republic. The famous Chona Commission was responsible for the implementation of the one party state. It is rather ironic that Kaunda appointed his Vice-President to be chairman of a constitution review commission instituted under the National Inquiries Act. 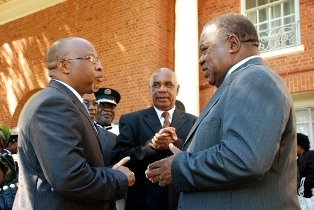 President Rupiah Banda also relied on his Vice-president George Kunda to push through constitutional reforms. But whereas Chona had succeded as Kaunda’s cholaboy earlier, George failed to deliver for Banda. George Kunda’s efforts suffered embarrassing defeat at the hand of an uncompromising legislature. Fourthly, I should now comment on general observations about Zambia’s vice-presidents. They tell us quite a bit more about the characters of the bosses they served. The most unstable and unpredictable of all these bosses was Mwanawasa who had four vice-presidents in the seven years of office. That is to say he had a different vice-president every one and half years on average. Mwanawasa’s most intriguing moments with his vice-presidents concerns how he fired his first two, Kavindele and Mumba. Kavindele was let go at the same time that Mwanawasa was intensifying his fight against Chiluba’s corruption. It remains to be seen whether Kavindele was fired for anything to do with Chiluba. As for Mumba, he was fired for simply showing independence, ingenuity, and political astuteness. When Sata advised Mumba to relax and simply enjoy tea at Cabinet Office, Mumba vehemently refused and instead worked even harder for the good of the government. As a political novice, Nevers Mumba needed to understand that a Veep should only jump as high as the president says jump. You jump higher than you were told to; some close confidantes of the president will be there to report you. As such, Sata was quite prophetic; it was Mumba’s vice-presidential hard work that landed him into trouble. A vice-president should just be drinking tea and waiting for the president to say, “Help me here.” That is exactly what one Augustine did and he was dearly loved by Mwanawasa for it. When Guy Scott said he was just a chola boy to President Sata – he really meant it. A Vice-president should never grow brains. When making the choice of Vice-president, presidents must take into consideration serious ethnic calculus. Kaunda lacked this calculus in the first few years after independence in his choice of both Kamanga and Kapwepwe. Kaunda’s tribe or ethnicity was not easy to categorise at independence. This worked both ways—positively and negatively. On the positive side, he was taken as a neutral arbiter between tribal tensions; on the negative side his choice of political friends would attract accusations of siding with one side of his heritage over the other. As such when he chose Kamanga as the first Veep, the Bemba-speaking faction lamented that he had brought his Malawian brothers to top positions in the nation. However, when he reluctantly appointed Kapwepwe to the vice-presidency, after the 1967 UNIP conference similar accusations surfaced, two Bembas could not possibly hold two top positions in the country. He had to accept Kapwepwe’s resignation and appointed Mainza Chona, a Tonga, as his replacement. After Mainza Chona, Kaunda continued to emphasize his Bemba heritage and completely sidelined any other Bemba to any top position in the Second Republic. He then concentrated on having other tribes share the national cake. After 1973, the position of Vice-president was abolished and the functions of the office were split between the Secretary General of the Party and the Prime Minister. The Secretary General functioned more like a first-vice president, while the Prime Minister was more like a second-vice president. The Prime Ministerial positions were the preserve of either a Lozi or Tonga speaking citizens. The position of Secretary General went to Mainza Chona at the inauguration of the Second Republic and Alexander Grey Zulu took over the position for much of the Second Republic. Grey Zulu was Kaunda’s deputy and a de-facto vice president and natural successor to Kaunda. Zulu was the best candidate for a de-facto number two since he lacked political clout to develop a political following of his own. It is men like Grey Zulu who make good vice-presidents. And fortunate enough this rule has been proven true in the more democratic Third Republic. Another matter of particular interest with the vice-presidents is their provinces of origin. Chinsali District has the honor of being home to two vice-presidents in the history of Zambia. Interestingly, of all 72 Districts in Zambia, Chinsali has produced more top two leaders per capita than any other district in Zambia. It is from Chinsali where both Kaunda and Kapwepwe hailed from. And in the Third Republic, Mwanawasa looked to Chinsali when he had the second shot at choosing a Veep. Of all the nine provinces, only Luapula and Lusaka Provinces are yet to produce a vice-president. Northern Province has had three, Kapwepwe, Mumba and Mwape. Central Province has had Mwanawasa, and George Kunda. If we consider Prime Ministers in the Second Republic to have been vice-presidents (in their own rights) then we could say that in Mundia, Lisulo, and Masheke Western Province has had its representatives. Mainza Chona and Musokotwane are among the most eminent representatives of Southern Province. Copperbelt produced Mwanawasa who had both Lamba and Lenje heritage. Northwestern Province’s Kavindele has served the country very well too. Eastern Province has had Kamanga, Banda, Tembo, Miyanda and Grey Zulu. There should be something about the people of the East that should explain why they have had more vice-presidents than any other province in Zambia. However, I leave that to others to explain why this is so. 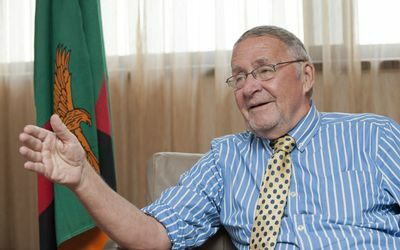 Guy Lindsay Scott becomes the first white Zambian to be vice-president. However, the fact that President Sata has sidelined him many times is quite significant. President Sata has erroneously interpreted the constitution to mean that a person like Guy Scott cannot act as president when Sata is not in the country. This interpretation of the constitution is definitely shocking and the Law Association of Zambia have expressed their concern at President Sata’s interpretation. In terms of professions, the vice-presidents have been very diverse. Both Miyanda and Christon Tembo were soldiers. Prime Minister Malimba Masheke was also a career soldier. It is said that Augustine Festus Lupando Mwape Katoloshi served in the Air Force as well. I have already mentioned that three vice-presidents where lawyers—Chona, Mwanawasa, and Kunda. Prime Minister Daniel Lisulo practiced law as well. One preacher, Nevers Mumba is among this rank. Kavindele leads the vice-presidents as the wealthiest of them all—his wealth surpasses the wealth that all of the vice-presidents have had combined. Guy Scott holds a doctorate degree in agricultural economics. He is perhaps the most educated of all vice-presidents. No doubt that without their deputies, Zambian Presidents could not have discharged the functions of their offices effectively. Of all the presidents of Zambia, Levy Patrick Mwanawasa is the one who delegated the affairs of state to his vice-presidents the most. Vice-President Lupando Mwape is one who received the most of all these delegations. At one time when the estimates of the expenditure of his office were announced Mwape’s office had in one year spent more money than the office of president Mwanawasa. Cabinet office was quick to run to Mwape’s defence by explaining that they had not expected Mwanawasa to delegate so much state responsibilities to his vice-president. Of all the vice-presidents only Guy Scott has never acted as president. He has never been left with instruments of power. Each time President Sata leaves Zambia, he prefers to leave instruments of power with his relative Alexander Chikwanda. In terms of the law of retirement, the Zambian law only singles out Zambian presidents for a special retirement package which includes a 100% gratuity, an executive mansion, a string of luxury cars, security, a cadre of staff and seventy-five percent of the incumbent’s salary. As for the vice-presidents there is nothing special—no special gratuity and no executive mansions. This is unfair especially for people like Lupando Mwape who were de-facto Heads of State at a time when Mwanawasa was barely functional. As we honor the office of President, it may be time for Zambia to equally honor the men these presidents hired and fired to be their number two! As for Guy Scott, we would really love to see him exercise powers of an acting president one day. There is definitely no constitutional impediment to that. Note: This article first appeared on Munshya wa Munshya’s blog in 2010. It has been modified and updated to include developments since then. I am very grateful that you had find time to write about our vice presidents,the article is very informative and I like the angle you took. have you updated this article? if yes how can I access it? Good article Munshya, save for a few observations. Firstly you say that Guy Scott holds a doctorate in agricultural economics, this is not true as he holds a PhD in cognitive science although he does hold a bchelor’s degree in economics. Refer to http://www.parliament.gov.zm/index.php?option=com_content&task=view&id=349&Itemid=100&province=5&constid=78. Secondly I dont recall Guy specifically saying he was the president’s chola boy. If I recall and I am sure I am right, it was Wynter Kabimba then as PF secretary General only who made that remark. It was followed hot on its heels by a question from an MP in parliament, Kapembwa Simbao I think, who asked Guy Scott during the vice president’s question and answer session for his response to the remark by the PF SG. Guy didnt dissapoint. With a quick accerbic wit he is blessed with he said if the president is around then his vice president is the Chola boy but if the vice president is around then the SG is the Chola boy! Natotela Kanabesa for that correction. Really enjoyed reading this. very informative piece. Thanks ba wesu. Take Care and I am glad that you found this blog informative. The piece has an interesting historical character albeit difficult to identify what it intends to achieve. Thank you for your positive feedback. And I do appreciate your opinion. Yes, as a work of history it might be difficult to pinpoint what the article intends to achieve. But I have set out the reason for my writing in the first few paragraphs. I wanted to explain and bring visibility to Zambian vice-presidents who have been sidelined in history.